All three of these quilts are small, about 40″ x 45″. 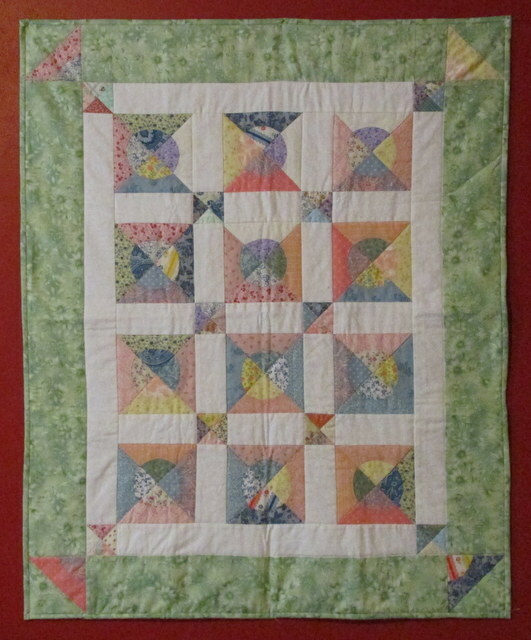 This little quilt uses leftover pieces from another quilt. 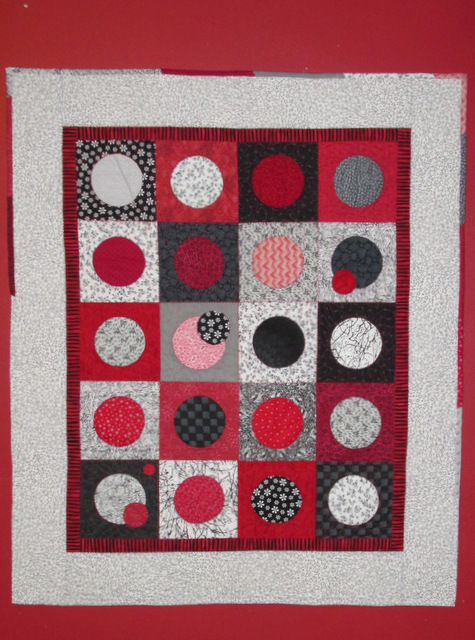 Little circles are appliqued over larger red, black and white circles of this quilt. 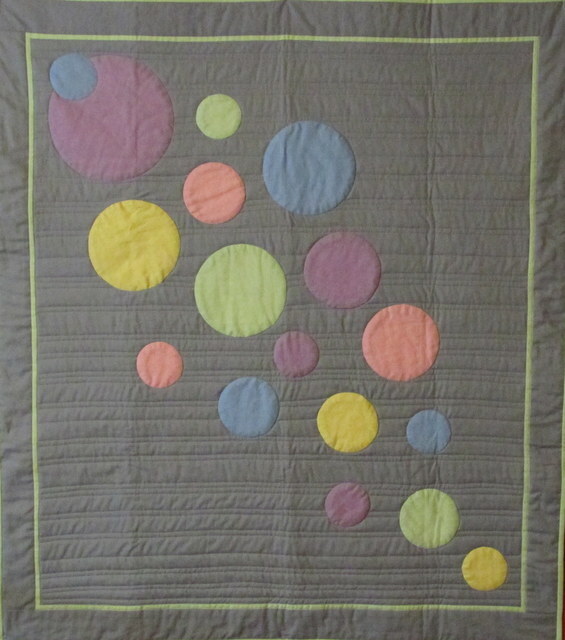 The many sizes of circles on this quilt are hand appliqued. A pattern will be available for this quilt. This is Nok, your thai student back to 1983. I try to contact you and dad just to say hi and send you best regards. Hope you do remember me. Send you big hug. You two are doing great job. I love all your quilt. And wish to have a chance visiting some of your shows in 2019.